Brandon's marketing savvy with contemporary homes was what sold me when it came time to list...I just wish I had listened to him instead of Zillow when it came to pricing. In the end it sold for what he said it would. Happy Home Seller - Cash K.
Brandon doesn't just admire the market. He is very active in the modern home community and actively builds his network. 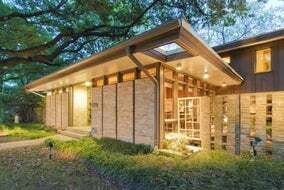 Recently he did a major remodel on his own mid century modern home which has given him and his clients very good insights on remodeling these type of homes. He is putting his money where his mouth is! Happy Home Buyer - Nick O.
Brandon is an amazing realtor. He's someone you can trust and help you make the right decision for you and your family. As a first time home buyer, he made us feel very comfortable and we never felt pressured to buy something. Happy Home Buyer - Laura E.
So you have a friend or relative that is a real estate agent..... Or you can deal with the real McCoy. If you want a unique Mid-Century Modern or New Modern home, you need to connect with Brandon Stewart . He specializes in these aformentioned styles AND he is an architect. Happy Home Buyer - Josef M.
Brandon was great to work with! He was patient with me as I had specific needs, and worked with me till I found the right house. After I picked my house, he continued to be helpful as we worked through the entire buying process. I recommend him with no hesitation! Happy Home Buyer - Keith J.
Brandon was great! He was absolutely wonderful in helping me list and sell my home. He also help me find a home to rent. I will definitely work with him again when it's time for me to buy my next house. Thanks!! Happy Home Seller - Marlon B.
Brandon has been our agent through 3 home purchases and 1 sale, and he has always been extremely helpful, knowledgeable, and professional throughout. He is extremely responsive and makes himself available at short notice. On multiple occasions he has shown us a property within hours of it being listed, and he has worked all hours of the night to write contracts, prepare comps, coordinate with seller's agents, etc. He always keeps us informed of any progress updates so we are not just waiting around in the dark. 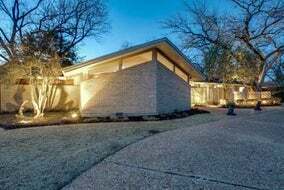 He is extremely knowledgeable about the Dallas market, especially with regards to new developments and listings of modern homes. His background in architecture gives him keen insight into design, quality, and workmanship in homes, and he is quick to pass that knowledge along to us. He gives us honest insight and opinions, and really cares about helping us find the right home. Brandon was there to guide us every step of the way in the home buying process from the initial search to the many showings, to contract negotiations, closing, and beyond. On the selling side, he really took care of everything and made it a quick and painless process for us. He worked around our schedule and made many arrangements on our behalf. We were out of the country and he was able to arrange everything for us and get our home listed, arrange showings, and help us negotiate offers all while we were away. Happy Home Buyer and Seller - Ian R.
Our selling experience with Brandon was top notch. His service exceeded our expectations and ultimately he sold our home for a premium price in our neighborhood. I would definitely recommend working with him. Happy Home Seller - Miguel R.
Brandon really listened to my needs, honed in on my criteria, and found something very different than I had imagined buying--and yet was everything I was looking for. Not to mention doing this in a seller's market. Happy Home Buyer - Cash K.
Brandon was very knowledgeable about Architecture and housing and gave us great advice throughout the home buying process. We enjoyed working with him when we were buying our home. Happy Home Buyer - Chuck B. This was our third experience working with Brandon as our agent. Not only did we set a sales price record for Pine Tree Court, we did it in just 8 days. We couldn't be happier. Happy Home Seller - Greg F.